The issue is how the mix of cross- and long grains would look. Very busy in my expectation. 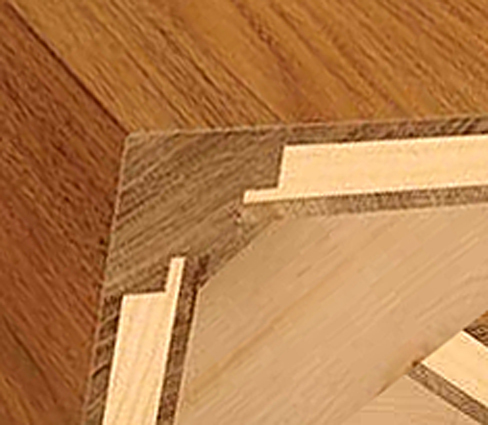 An idea that has occurred to me (suggested by this picture, actually) - to hide the corner being an added section - is to make the entire carcase with the grain running across, rather than than along the length. It may be possible by bookmatching to hide any joins. I've not seen a construction like this. Could be interesting What are your thoughts?